The global transformer core market is treading along a healthy growth path and is expected to witness an upward trajectory in the years to come as well. The market is driven due to a number of factors, with the rising consumption of electricity across developed and developing economies at the core. The market for transformer core is also significantly benefitting from the expansion of grid networks in developing economies, rising investment in grid renovation projects in developed economies, and the increased integration of renewable power with conventional grids. Rapid industrialization and urbanization in economies across regions such as Asia Pacific, Latin America, and Middle East and Africa are leading to a continuous rise in demand for grid elements and are, in turn, fueling the demand for transformer core. Power transformers are presently the leading product segment of the global transformer core market, accounting for a massive share in the overall revenue of the market. The segment is expected to remain at the forefront in terms of demand and account for the leading share in global revenue over the next few years as well. The market for transformer core in Asia Pacific, Latin America, and Middle East and Africa are presently the key drivers of the global market, collectively generating a lion’s share of overall revenue of the global market. Factors such as the vast rise in industrial and infrastructure development activities in the regions in the past few years are attributable to the leading positions of these regions in the global market and are expected to continue to drive these regional markets over the report’s forecast period as well. A transformer consists of primary and secondary windings. Its performance is mainly determined by the flux linkages between these coils. For efficient performance, one magnetic path with low reluctance common to both the coils is provided in transformers. This low reluctance magnetic path forms the core of a transformer. Cores are available in various forms, including laminated steel, toroidal, solid, and air. Currently, the global transformer core market is experiencing robust growth due to the increasing investments by governments worldwide in renewable power projects. The report provides an extensive analysis of the trends and opportunities in the global transformer core market. It forecasts the potential growth trajectory of the market between 2017 and 2025 by examining the current scenario and historic data. Both primary and secondary resources have come into play while collating this study on the transformer core market and its affiliated industries. The report segments the market on the basis of various criteria such as geography and type. The data for each segment is presented in terms of value as well as volume. Competitive profiling of prominent players along with their business strategies and latest developments facilitate in understanding the competitive scenario across the overall market as well as different geographies. 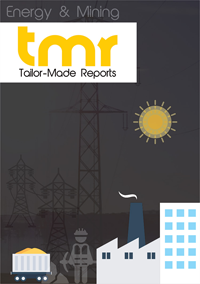 The ever-rising demand for electricity is the foremost factor augmenting the global transformer core market. As per a report by the World Bank, the power consumption in Latin America is estimated to rise by twofold between 2010 and 2030 and is anticipated to raise an investment of about US$430 bn to cater to the growing electricity demand. In addition, the growing emphasis on the integration of renewable energy sources to produce electricity is working in favor of the market. Moreover, rapid urbanization and industrialization in emerging countries are creating staggering demand for electricity, which in turn is providing a fillip to the market. Various studies suggest that cities around the world consume two-thirds of global energy. On the other hand, the turbulent prices of raw materials required to manufacture transformer cores are negatively impacting the overall revenue generation of the market. Furthermore, the changing regulatory environment makes compliance difficult for manufacturers, thereby adversely affecting the growth of the market. However, emerging regions such as Asia Pacific, Latin America, and the Middle East are likely to offer tremendous growth opportunities for the market. The key segments studied in the report on the basis of geography are Asia Pacific, North America, Europe, and Rest of the World. Asia Pacific will be a prominent market for transformer core throughout the forecast period. The rising demand for electricity and a subsequently increasing number of power projects are primarily fuelling the growth of the region. Moreover, rapid industrialization and industrialization along with infrastructural development in the region is propelling the market. The Rest of the World segment is expected to follow same growth trends. Latin America will be the sight of high growth rate in the region. North America and Europe will rise at relatively sluggish pace owing to the mature markets in these region. Key players are focusing towards the launch of innovative and efficient products to sustain stiff competition in the global transformer core market. They are allocating sizeable funds to the research and development of enhanced products to cater to the customer requirements. Companies are aiming at expanding their global reach through acquisitions and mergers. Some of the prominent companies operating in the market are Siemens, ABB Ltd., Crompton Greaves, Mitsubishi Electric, Hitachi, Toshiba, and Fuji Electric.